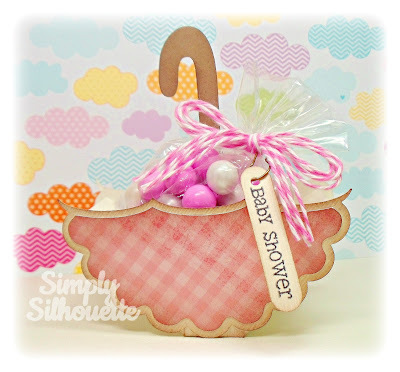 Simply Silhouette: It's a Shower! I have wanted to make this 3D Umbrella forever! 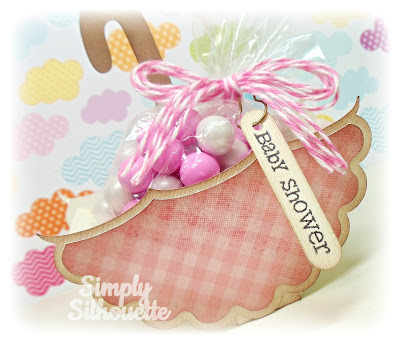 It really makes the cutest Baby Shower Favor! Another SUPER adorable project Julie!! LOVE the cute umbrella file, the perfect pattern paper, sentiment and sweet twine! 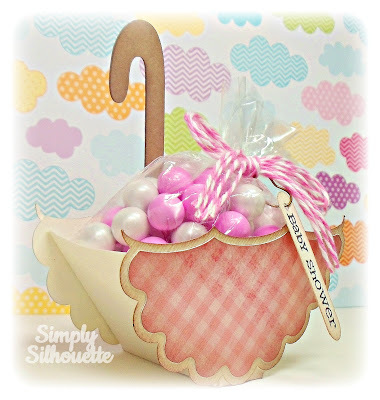 These would make the best baby shower favors!! Perfect for a baby shower and so cute! Oh this is so cute! Wish I had it a few months ago, but it seems baby/wedding showers are always popping up so it would be great to have on hand. Such pretty papers you used too...too cute! Yes I happily follow your blog and would love the file...thank you! Very cute shower umbrella. Thanks for sharing with us. Oh with a great idea! Thanks for sharing, sent you an email. it is perfect for a girls birthday, love it. sent you an email. i follow you blog. What a cute project idea!! Very cute for a baby shower, sent you my request. It is adorable. I would love to have this file!! OMG!!! This is so adorable. I can't wait to play with this file. TFS!!!! Love this! Two teachers I work with are having babies...this would a great favor for their baby showers. Thanks for sharing another adorable file! This is super cute!! Oh! forgot to say that I'm also a follower of both your Blog and your facebook page. Thanks for the cute files you share. LOVE THEM! You are so smart! 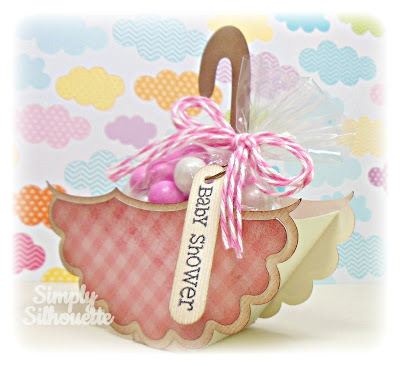 Glad you made the file to share - it is just the right thing for a baby shower and it can also be for a bridal shower - just change the paper. Forgot to say I'm following your blog and I'll be looking for you on Facebook! This is too cute and works for a bridal shower or any "shower" party! Love it! Oh my goodness this is so sweet! Love it! I'm a follower and always look forward to seeing what kind of projects you come up with next. You have so much talent and a generous heart. Thank you for the chance to get this file for free. this is so cute!! Thanks for sharing it. I'm a follower,this is so cute, you have the best ideas. thanks for sharing this file, I have a baby shower to host in October, this will be perfect. this is adorable chickie !!! love it ! Love It! I am a follower!